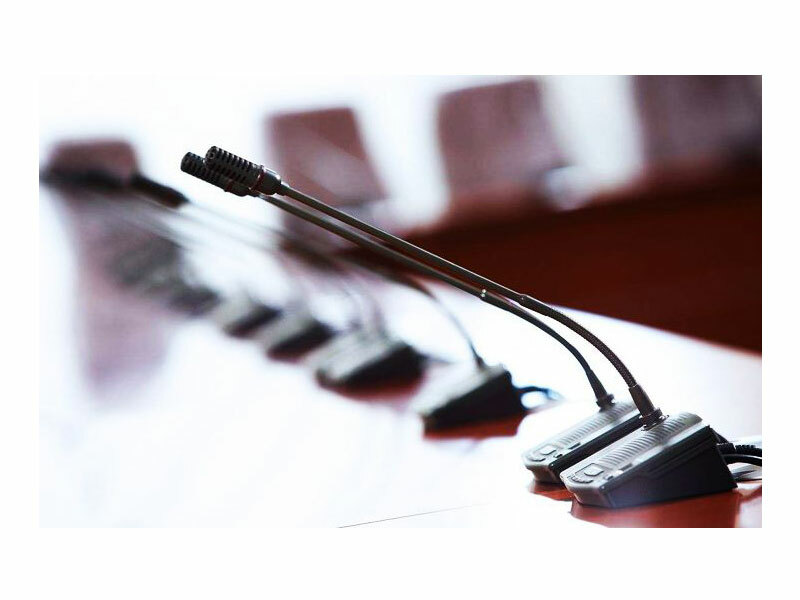 ﻿ Audition of Conference Microphone - Guangzhou DSPPA Audio Co., Ltd.
Because of the particularity of the conference room, in most cases, the speaker can not attend the audition (for example, the leader speaks), so just adjust the volume of the normal person. Try to make the first sentence of the speaker reach a moderate volume (moderate sound size and no screaming), but also leave a satisfying conditioning capacity. But if there are many microphones, the tuner needs to make repeated debugging between the mixer and the microphone, which is laborious and inefficient. That is, after setting up the conference microphone, the mixer pusher of all conference microphones is lowest and the gain knob is lowest. Then the power amplifier is adjusted to the proper position used in the usual way, and the main output of the mixer is pushed to 0dB. Then the corresponding pusher of a microphone is pushed to the highest level of the microphone (usually the mixer is 10-12 dB). Slowly adjust the gain knob of the microphone on the mixer and listen carefully until you hear a slight whistle. Then turn the knob back 3dB, and then pull the pusher back to 0dB. In this way, the microphone can ensure that the speaker has a satisfying volume loudness without causing a scream. When the speaker's voice is small, there is a margin of satisfaction (13dB) for adjustment. Other microphones can be disposed of the same way. In the future, turning over multiple conference microphones together will not lead to screaming.